Vending Machine Companies in the country of KUWAIT. 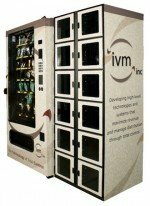 They offer vending machine types which may include; Snack, Soda, Drinks, Food, Deli, Healthy vending machines, Micro Markets, Amusement Games coin operated, vending repair services and more! These vending machine suppliers are listed alphabetically by company name. www.UAEresults.com – a local UAE Business Directory with more than 250K active business! V-Tech International Group – Operation & Distribution of Vending Machines, Shuwaikh, Kuwait.